This car is also one of the most expensive car in the world. Prices range from 1.8 million thousand dollars. This car also broke the world record in speed. ie 430 km / hour. Carved a track record in Volkswagen's Ehra-Lessien Group, near Wolfsburg, Germany. From behind the crumpled hood of 1200 PS-powered engine with a torque of 1500 Nm. 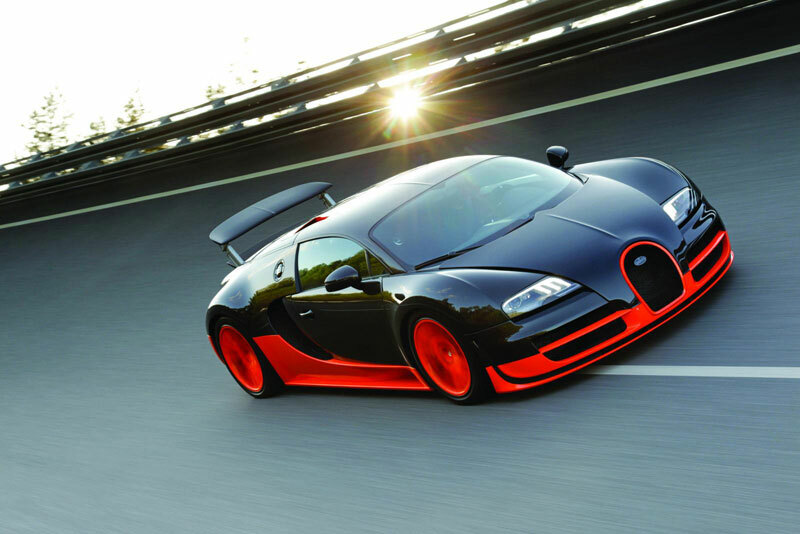 Power is 200 PS is larger than the standard version of the Veyron. 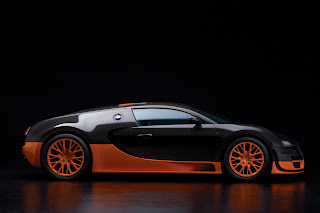 Bugatti's engineers try to boost the 8000 cc engine, 16 cylinders, four turbochargers with a larger, including enlarging intercooler. Continues, the chassis was developed again, reinforced and suspension stabilizers embedded in the four-wheel racing. To achieve a high level of aerodynamic, more refined body. Improvements included on all single-shell structure of carbon. This material not only makes the weight is reduced, but safety was assured. From perfecting it, acceleration 0-100 km / h can be reached in just 2.5 seconds. Tried 0-200 km / h, it only takes 7.3 seconds and 0-300 km / h is achieved in 15 seconds. 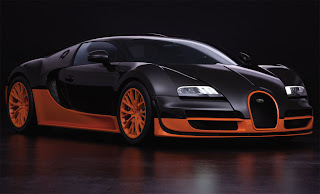 Super Sport 16.4 debut will be held at Pebble Beach Concours d'Elegance in California, USA, August. On price, Bugatti reputedly one worth an estimated 1.8 million U.S. dollars and produced 30 units this spring.